Bamboo symbols are often found in Chinese, Japanese and Indian culture to represent luck, longevity, strength, and friendship. 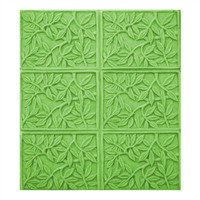 The Tray Bamboo Leaves Soap Mold features beautifully detailed leaves in a tray that makes six rectangular bars. Bar Depth: 1" Bar Length: 3"
Bamboo symbols are often found in Chinese, Japanese and Indian culture to represent luck, longevity, strength, and friendship. 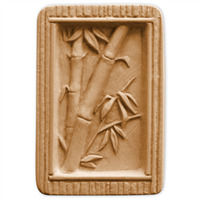 The beautiful Bamboo Soap Mold features bamboo stems and leaves set in a peaceful, Zen-like window setting. Bar Depth: 0.875" Bar Length: 3.5"